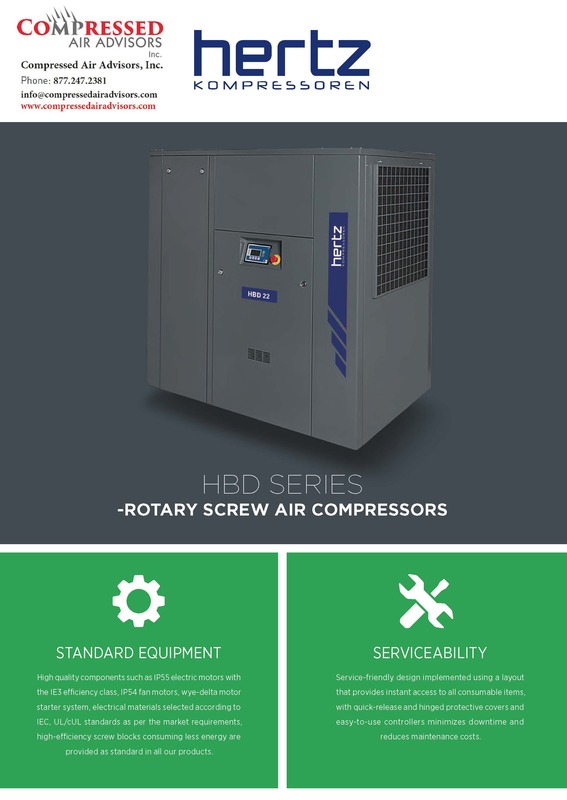 HERTZ HBD series compressors are used safely in all applications of small and medium sized businesses thanks to their high performance in operation. Its service friendly compact structure speeds up your work and minimizes downtime. 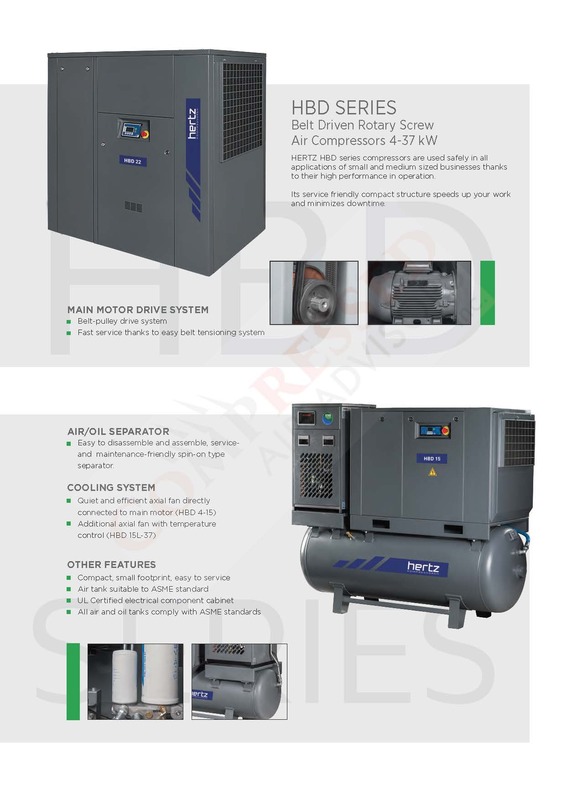 High quality components such as IP55 electric motors with the IE3 efficiency class, IP54 fan motors, wye-delta motor starter system, electrical materials selected according toIEC, UL/cUL standards as per the market requirements, high-efficiency air ends consuming less energy are provided as standard in all Hertz rotary screw air compressors. 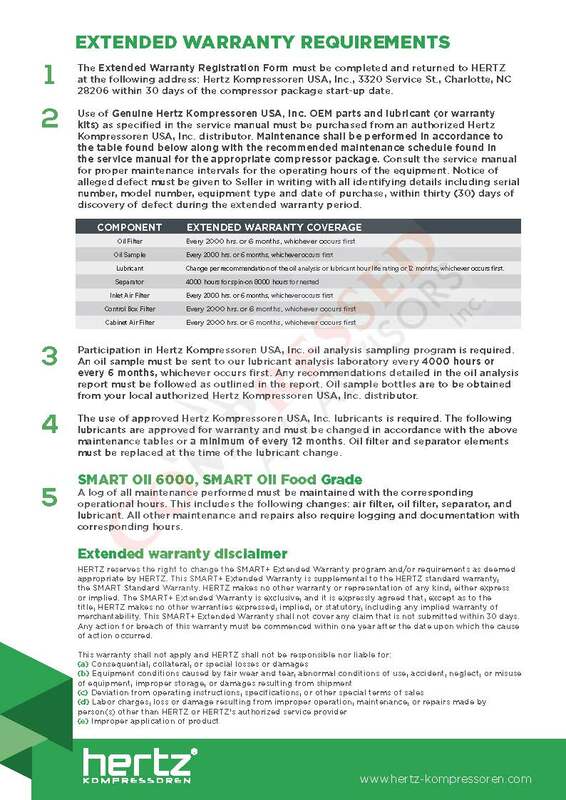 Service-friendly design implemented using a layout that provides instant access to all consumable items, with quick-release and hinged protective covers and easy-to-use controllers minimizes downtime and reduces maintenance costs. 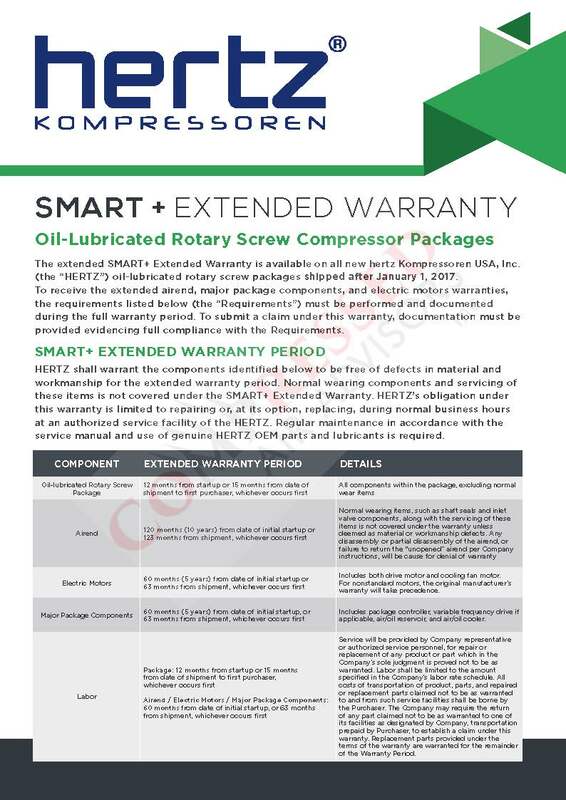 Hertz Kompressoren rotary screw compressors are equipped with easy-to-use, robust and long-lasting microprocessor controllers with communication capabilities as per the product line to ensure smooth operation and uninterrupted production. 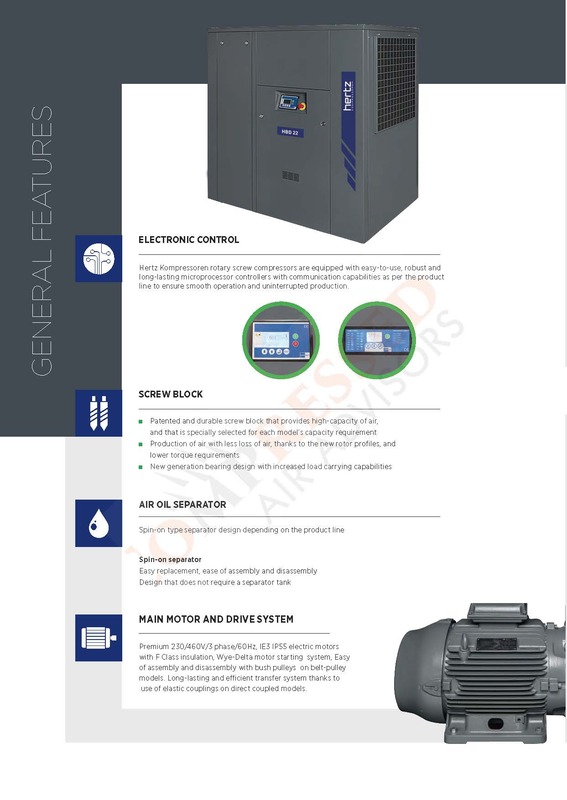 Patented and durable screw block that provides high-capacity of air, and that is specially selected for each model’s capacity requirement. Production of air with less loss of air, thanks to the new rotor profiles, and lower torque requirements. 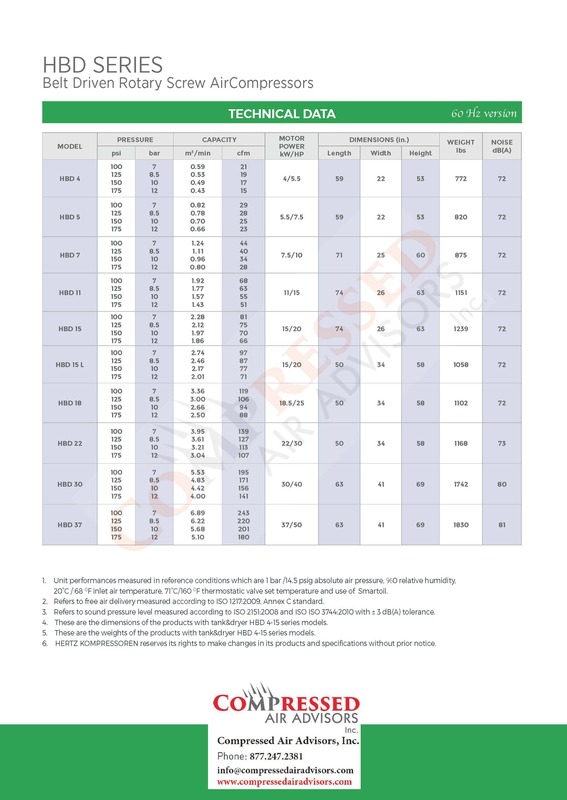 New generation bearing design with increased load carrying capabilities.